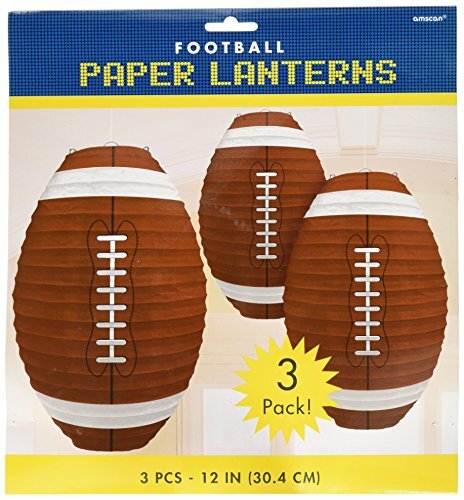 If you’re having a football party this year, don’t run out and buy invitations. 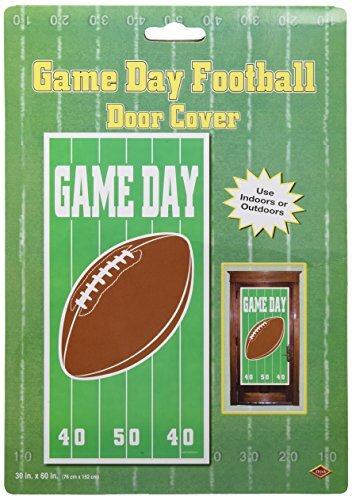 Make your own big game day invitation printable this year to invite people to your party. 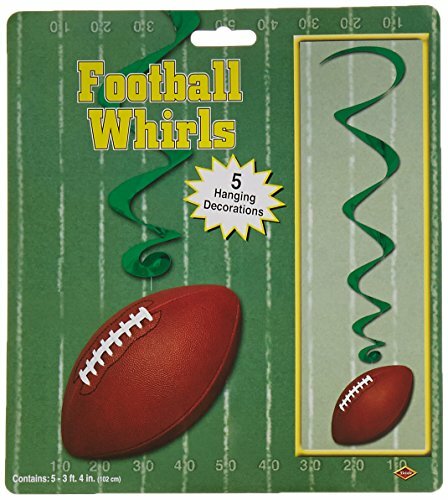 This football party invitation would work equally as well for a football themed birthday party or even for Father’s Day for a Dad who loves football. I used standard weight copy paper when I printed my game day invitation printable. You can use a heavier weight paper if you plan on handing them out in person. But, if you’re going to mail these to friends and family, I would use copy paper. Then just fill out the blank part at the end with your name, address and party details. Don’t forget to include a phone number so that people can RSVP. Of course, it wouldn’t be a party without food, would it? You can check out a few ideas for healthy party snacks that I put together. To save time, I make a few family favorites and then add some healthy store-bought snacks so I don’t spend all day in the kitchen. This easy chili in the slow cooker is always a big hit or try my white chicken chili with sour cream for a different taste. 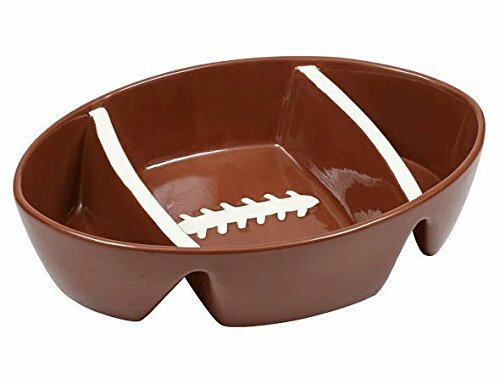 We keep decorations to a minimum but I have a few plastic football platters that I bring out each year for chips and dip and salsa. 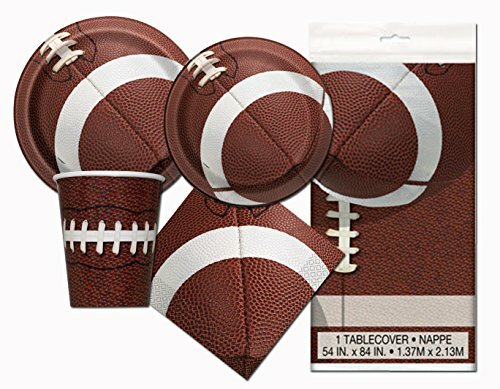 If you like, you can grab some football themed party plates and cups for your party to cut down on the dishwashing. 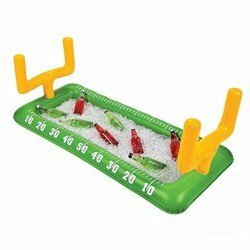 Just make sure that you stock up on plenty of ice to keep drinks cold and keep the food coming. 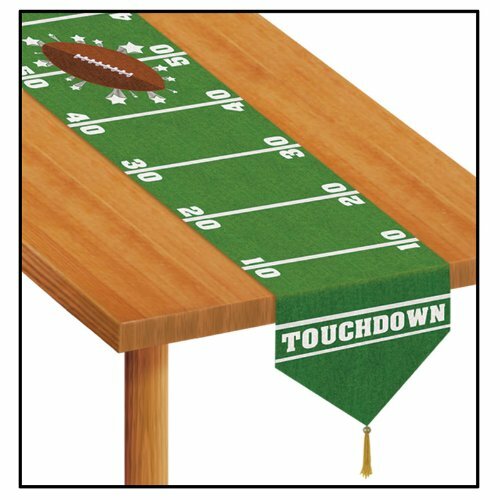 Your guests will be so into the game that they won’t need much more than a comfortable chair. Click here for the full-size image and download to your computer. Then print out one copy for each invitation. Each invitation will print on a full size 8 1/2 x 11 sheet of paper. 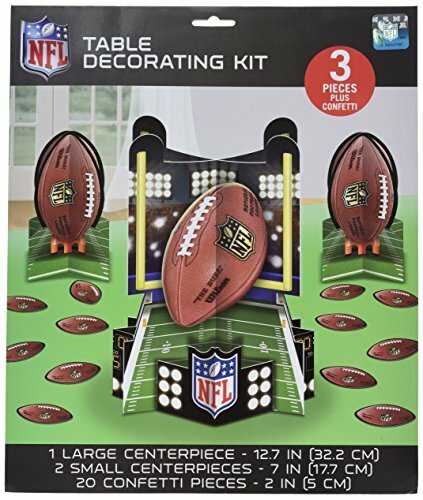 Don’t forget to print out some Superbowl party games for your guests too! Very nice idea, my father in law has a birthday party this coming weekend. This can be a good idea for a twist to be a thank you card as he is a super fan. Thanks a lot. That was super useful and made all the difference for people to show up! These are cute! I will have to remember these for next year. We always host a Super Bowl party. Thanks! 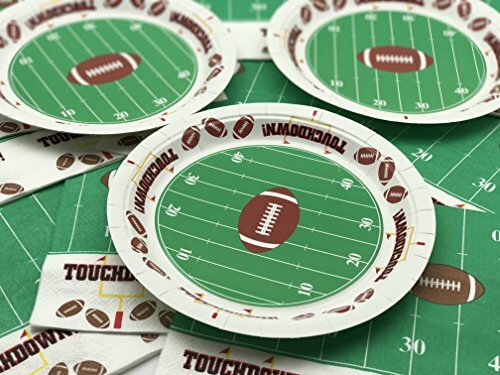 I love these invites and would love to make them for next year's Superbowl Party! Thanks, Tracie. Glad you liked them.